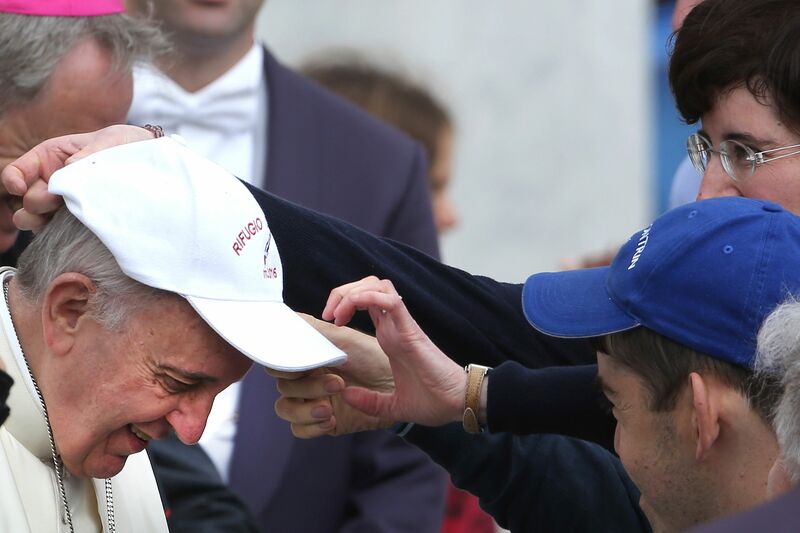 Pope Francis is a man of the people. Since he was ordained in March 2013, he has made bold choices that point to his humility and simplicity: From his decision to stay in a Vatican hotel rather than the luxurious papal apartments, to his refusal to ride in a bulletproof Popemobile because the glass would separate him from his faithful followers. 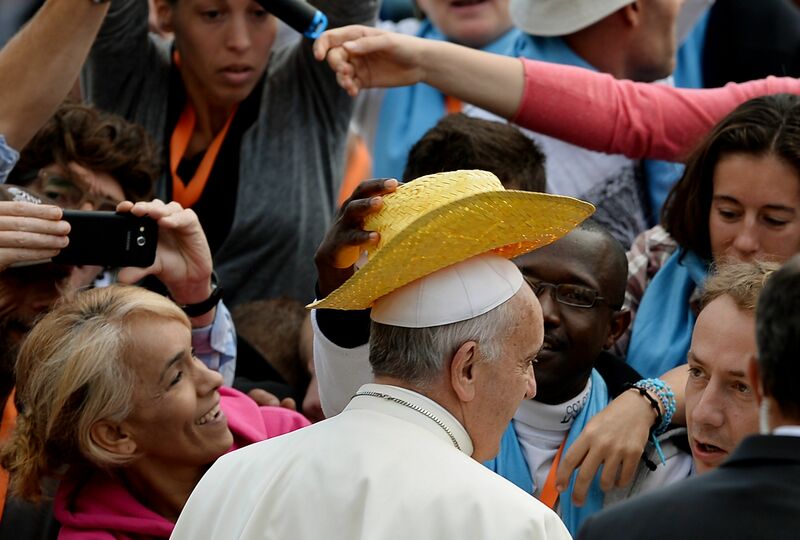 It’s not surprising then that the pope of the people is often game when it comes to matching his white robes with interesting articles of clothing — from hard hats to sombreros — gifted to him by his fans. 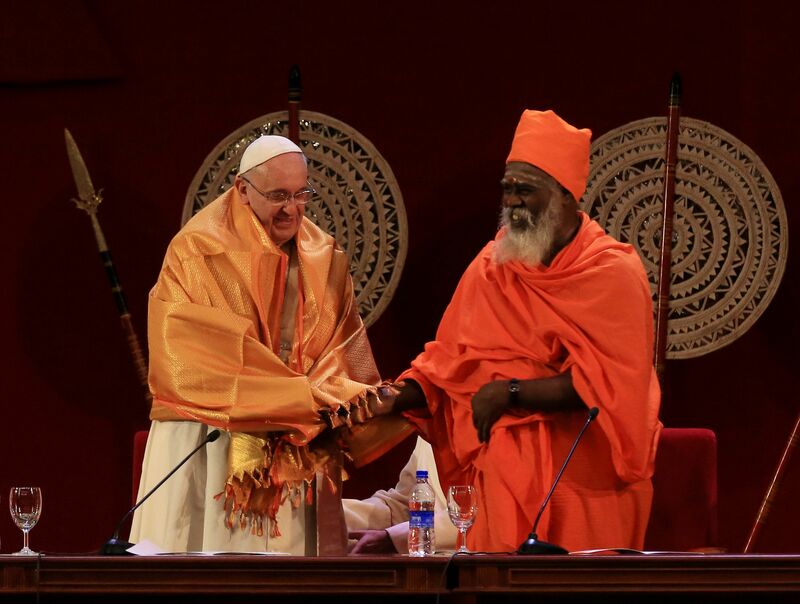 Here are 13 times Pope Francis switched up his style. 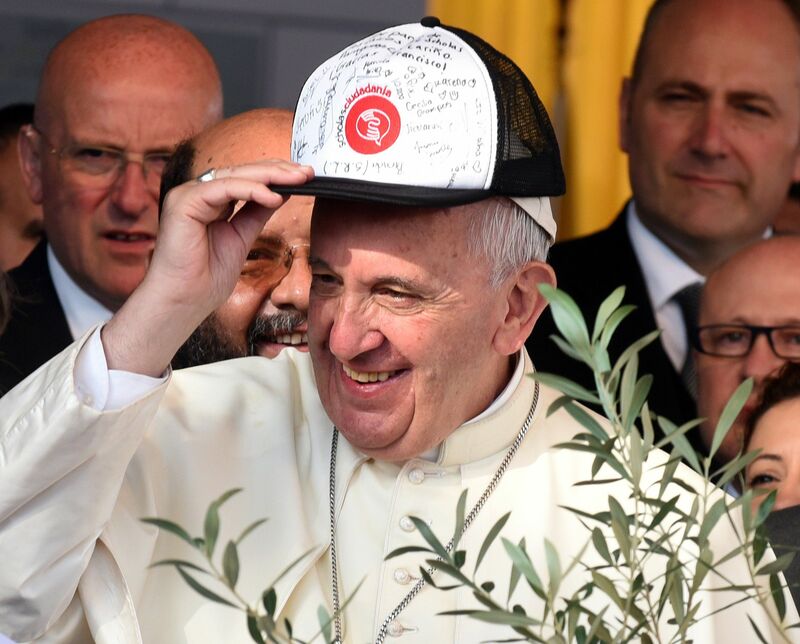 That time he rocked a baseball cap signed by the residents of one of Paraguay’s poorest neighborhoods. That time he added a pop of color to his outfit while checking out the Our Lady of Madhu shrine in Sri Lanka. That time Hindu priest Kurukkal SivaSri T. Mahadeva gave him a shawl, which he wore with pride. 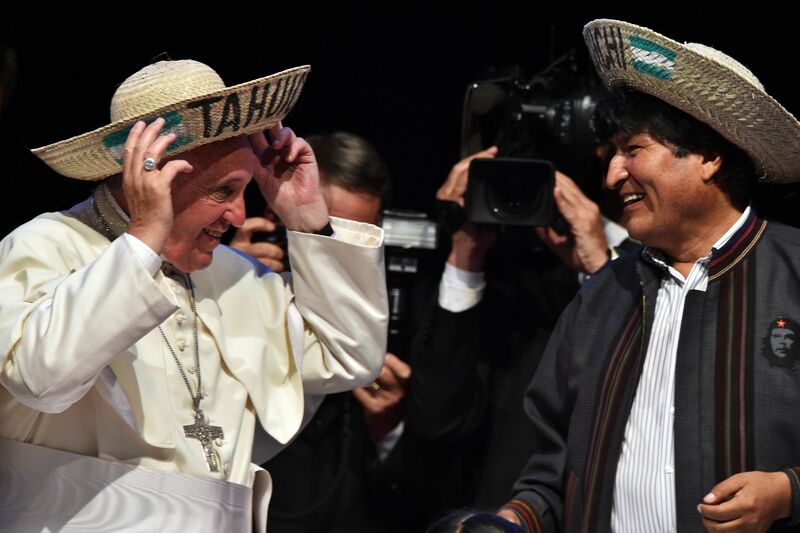 That time Francis and Bolivian President Evo Morales wore matching straw hats. 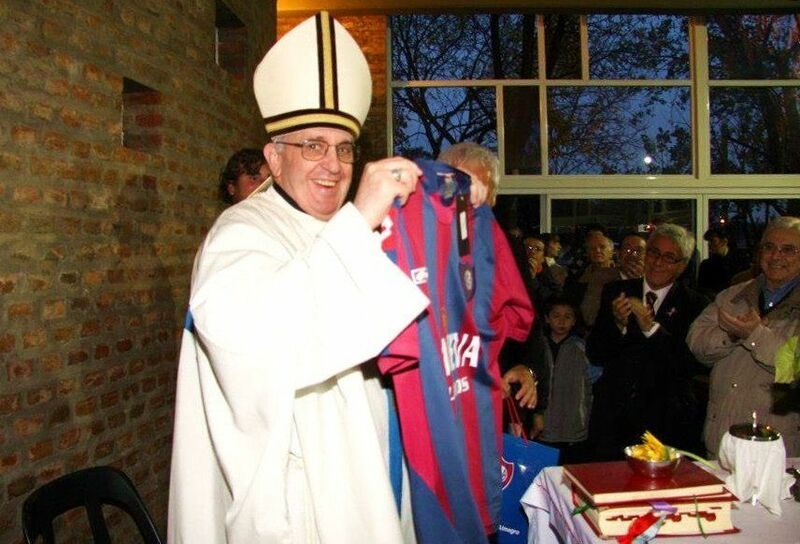 Flashback to the days when he was a cardinal and was thrilled by this San Lorenzo soccer jersey gift. Flash forward to the present and homeboy still loves the San Lorenzo squad. That time members of an indigenous tribe from Brazil gave him a feathered hat, which he adored. … but he’s totally used to it by now. 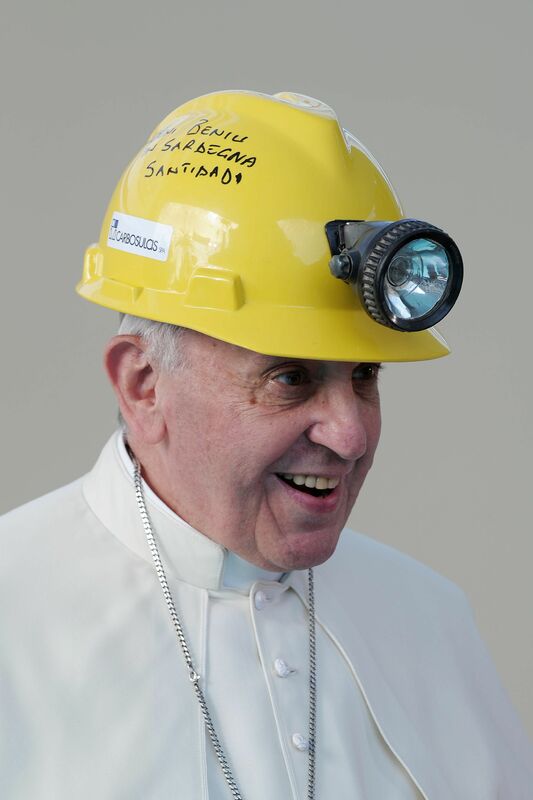 That time he wore a hard hat to bring attention to the plight of unemployed workers in Sardinia, one of Italy’s poorest regions. That time he was stylin’ with a red scarf while he shared a laugh with altar boys and girls who had gathered at the Vatican. And then there was that time he was in the Philippines and defied the typhoon’s heavy rains to conduct Mass wearing a yellow poncho. Like a boss.